To stay alive in the zombie-filled world of Left To Survive, you need weapons. Lots and lots of weapons. Fortunately, the game offers literally dozens of options in this regard. You can empower, evolve, and increase your firepower continuously. 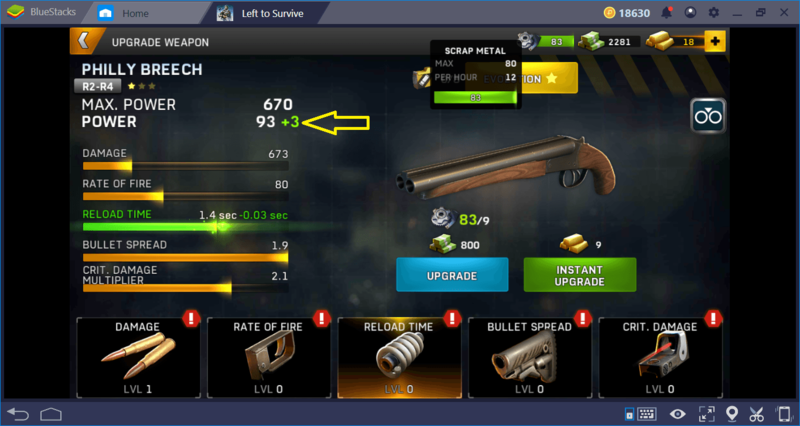 Don’t worry if you need help on all this: Below, you’ll find everything you need to know about Left To Survive weapons. Left To Survive has four basic categories of weapons: Assault Rifles, Machine Guns, Shotguns, and Sniper Rifles. Under each category, there are dozens of options. You can carry two weapons at the same time, but you can choose four weapons and switch between them. The power of weapons is determined by the number of stars they have and their level of rarity. A weapon can have at least 1, at most 3 stars, and as you can guess, the three-star weapons are the most powerful ones. But in the beginning, all of them will be 1-star only. To increase their number of stars, you need to “evolve” them, which will be explained in more detail below. 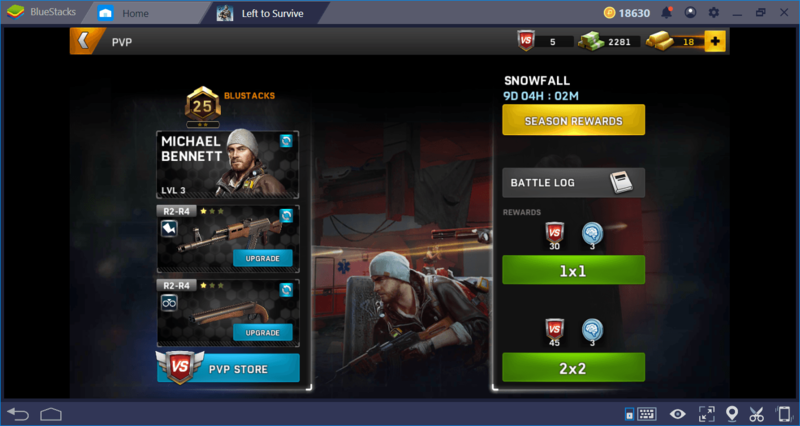 Complete PvE tasks and purchase them. After you complete all the missions in a stage, you will see that new weapons are unlocked. For example, on Stage 1, only SMG will be available under the “Assault Rifle” category. When you move on to Stage 2, you will see that the ADR is unlocked. After that, all you have to do is purchase the weapon by paying with bucks or gold. Completing some achievements also allows you to unlock new weapons. For example, after upgrading your Town Center to level 5, you will be able to purchase MIGDAL. Collect their parts. 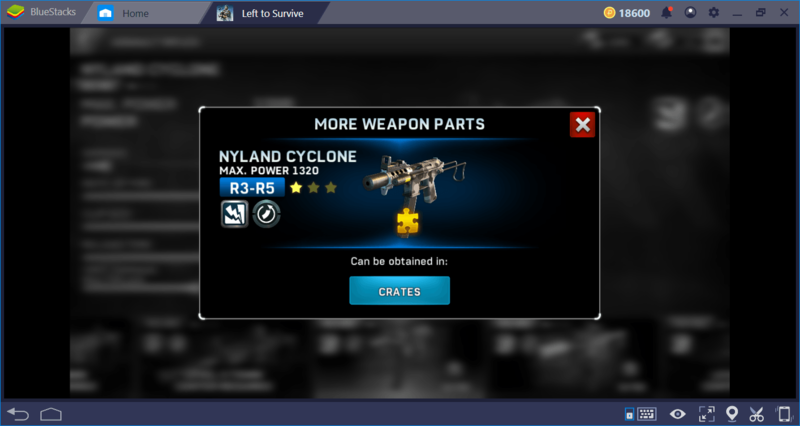 Some of the rare weapons can only be obtained by collecting parts. Each of them has 50 pieces and if you manage to collect all of them, you can get the weapon. To find out where the parts are, simply click on the “find more parts” button. Mostly they come out of the crates, but some of them can be obtained by completing events. Complete PvP tasks and purchase them. 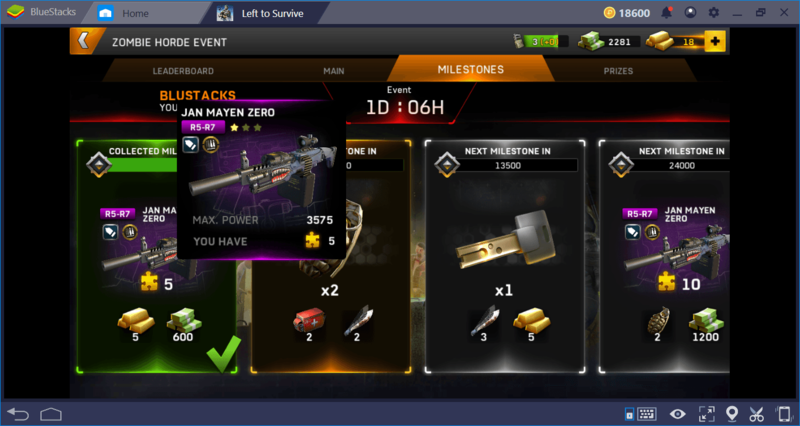 You can win tokens by entering PVP matches and it is possible to use these tokens to purchase weapon parts at the PVP store. However, this is not a method that you can use constantly because the content of the PVP store changes regularly. So, you should check this store frequently and if you find a part of a weapon you are looking for, you should purchase it immediately. By upgrading the weapons, you can increase their base stats. Evolving is a different process: It makes them much stronger than upgrading and increases their star numbers. These are independent systems, so let’s explain both of them separately. Upgrade. Each weapon has 5 basic stats: damage, rate of fire, reload time, bullet spread, and critical damage multiplier. You can perform the upgrade process separately for each of these stats. In other words, you cannot make all the stats rise with a single upgrade: You must increase them one by one. This will require you to use two items each time: bucks and scrap metal. It’s not that hard to get them; you can produce scrap metal in your factory building, and you can win bucks as a reward for completing PVE missions. It is also possible to use gold for an upgrade but this is an expensive method, so we do not recommend it. Note the section we marked, it shows how many points you will earn at the end of the upgrade. You have to reach a certain point total to complete some missions. 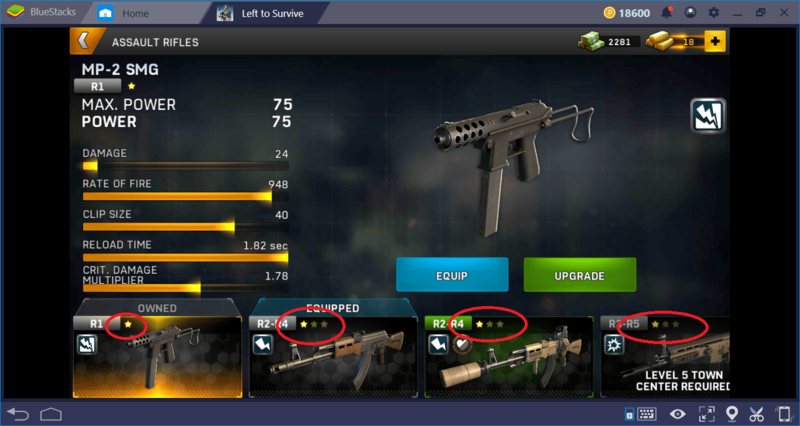 Do not upgrade Stage 1 weapons to the last level. Once this stage is complete, you will never use them again. “Damage” and “reload time” should be updgraded first. Evolve. 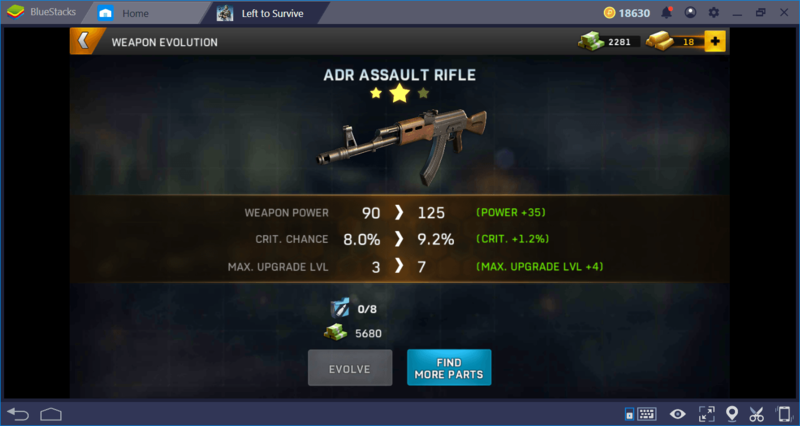 You can make weapons much stronger and increase their number of stars with evolving. This will allow all stats of the weapon to rise at the same time. You need two resources for evolving: much more bucks and evolve magazines. You can get magazines from crates or PVP battles. Only the blue and purple weapons should be evolved. This process requires a lot of resources and you don’t want to waste them for low-level weapons. You can see where you can find the evolve magazines of a weapon by clicking the “find more parts” button. 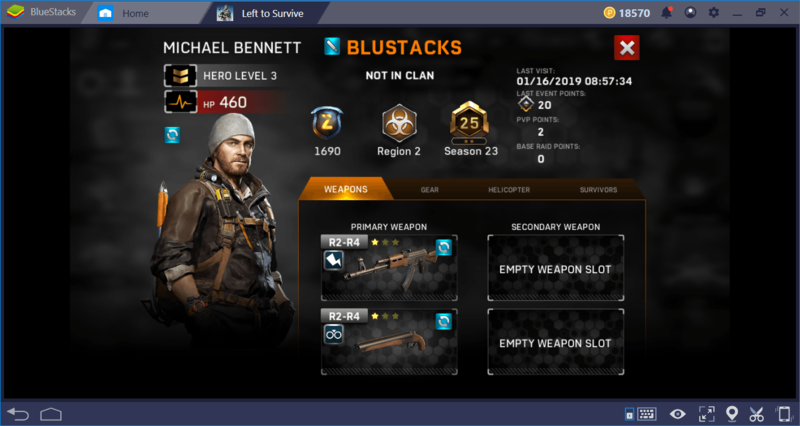 If you’re having trouble collecting the required amount of bucks, you can use the Combo Key tip in our Left To Survive BlueStacks Setup guide. 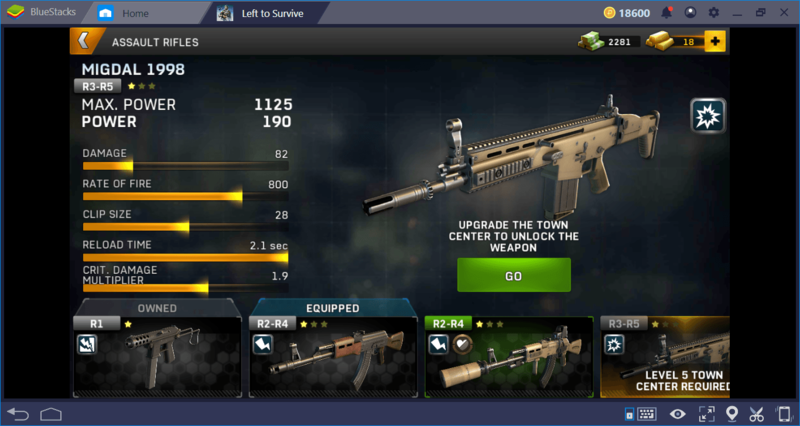 The types of weapons you can use in Left To Survive’s PvE missions are predetermined. So, you cannot pick a different category even if you want to. This is normal because there are special PvE missions for every weapon type. 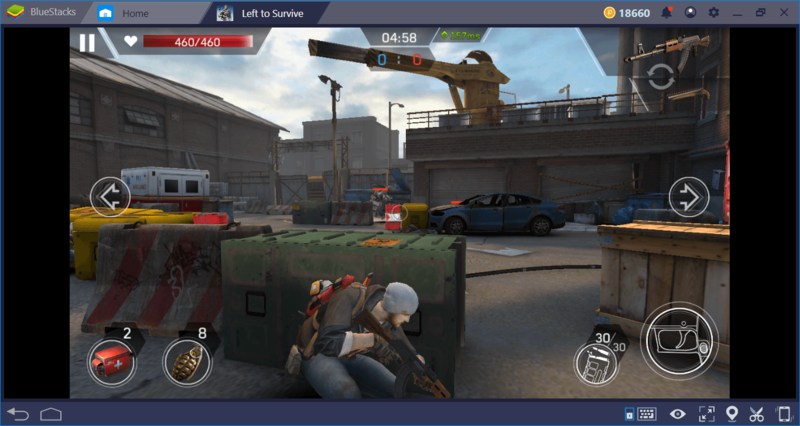 For example, there are missions you can complete only with a shotgun or a sniper rifle. 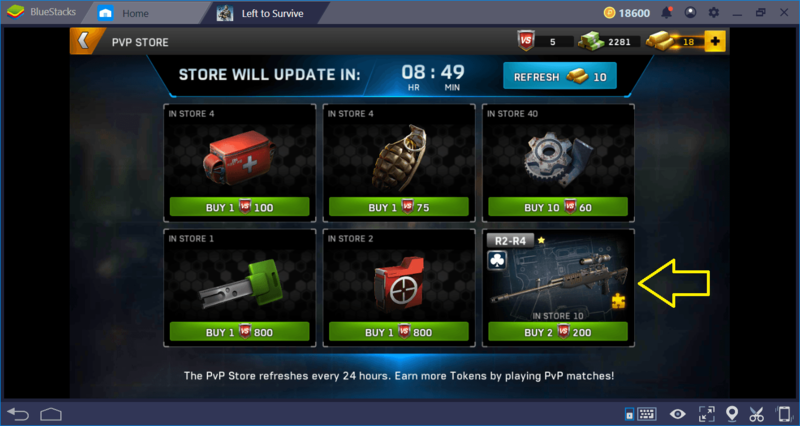 Therefore, it is not possible to prepare a list of the best weapons for PvE missions, as you cannot choose freely. You can choose only two types of weapons and they are predetermined. However, there is no such restriction for PvP missions, you can decide which weapon to use freely. Therefore, the choice of weapons is important: Which ones are more effective against other players? First of all, always choose sniper rifles. 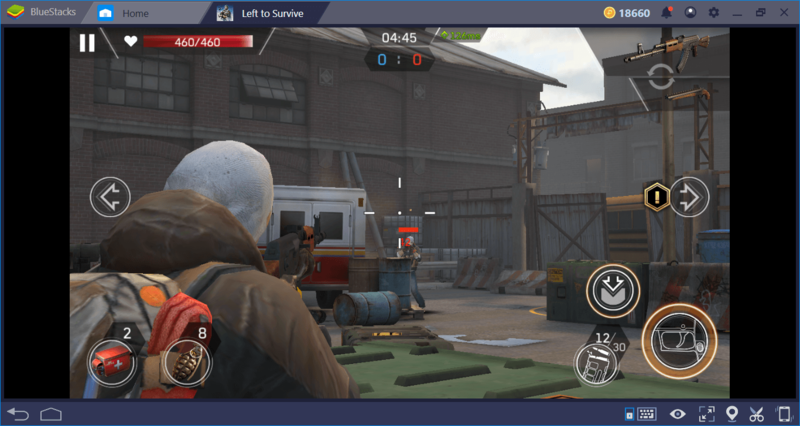 It’s almost impossible to use them in the mobile control scheme of the game, but thanks to BlueStacks, you can use your mouse to aim more accurately. A headshot means instant kill, so put a sniper rifle in your loadout. Shotguns are more effective than you think. They do less damage over long distances, but they have a significant advantage: You shoot the target even if you fire randomly. So, if you’re having difficulty aiming, we recommend that you bring a shotgun. Assault rifles are more effective but it is difficult to use them because of the recoil, so we recommend that you use them only if you are a veteran gamer. 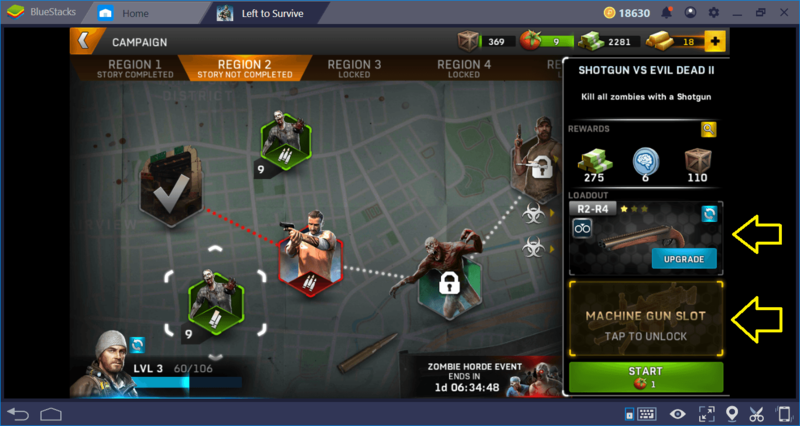 Shooting is not the only way to kill zombies and other survivors: You can also achieve highly effective results using melee weapons. To learn more about this, we recommend that you read our Tips Tricks guide. Left To Survive has hundreds of weapons to stay alive, and now you know how to use them: It is time to go out and start creating mayhem!